Product prices and availability are accurate as of 2019-04-23 17:24:11 BST and are subject to change. Any price and availability information displayed on http://www.amazon.com/ at the time of purchase will apply to the purchase of this product. Sit and shower safely with the Vive shower stool. 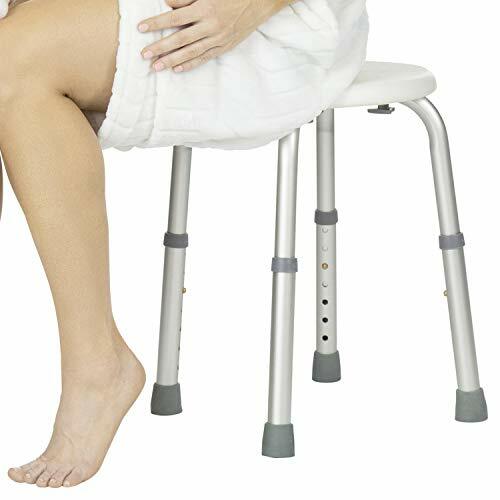 Topped with a textured, nonslip seat, the shower stool allows you to safely sit and shower independently. Supporting up to 250 pounds, the adjustable stool is made with a corrosion-resistant aluminum for exceptional durability. 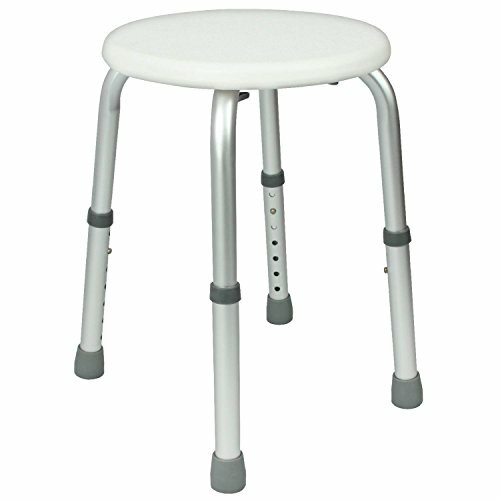 Great support for those with chronic fatigue or balance issues, the stool is also useful following injury or surgery. Feel comfortable and secure when bathing and showering. The comfortably wide seat supports up to 250 pounds. Texture to provide a nonslip surface, even when wet, the stool has a round seat that easily fits in the smallest tubs and showers. 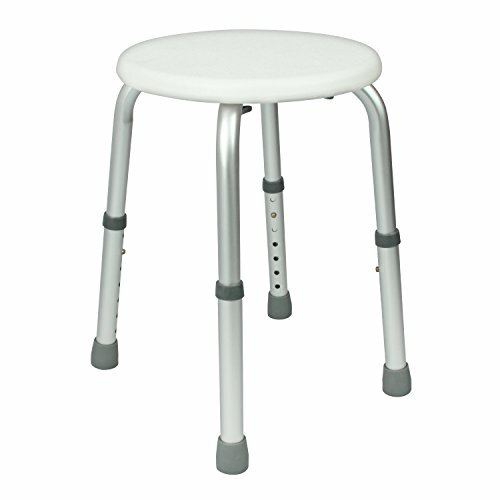 Durably constructed, the shower stool is lightweight and corrosion-resistant. Angled legs provide exceptional stability for the Vive shower stool. Each leg is also capped with anti-skid, non-slip rubber tips for additional safety and security. 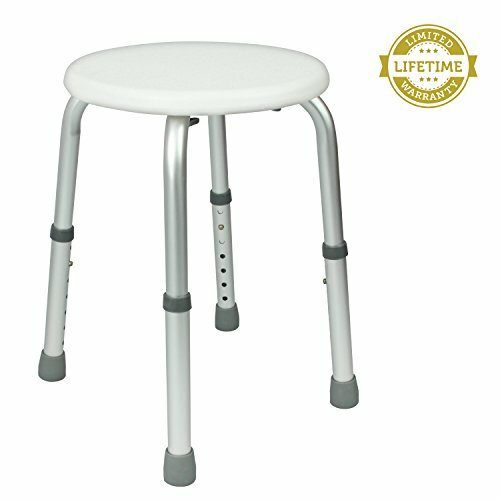 Easily adjust the height of the shower stool to create a secure, customized experience. With a range of 14"-19.5", the seat adjusts to fit any individual without the use of tools. 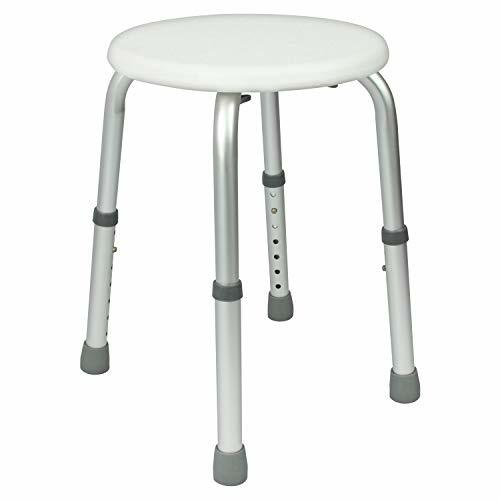 Constructed with a corrosion-resistant aluminum frame, the lightweight shower stool frame supports up to 250 pounds. The lightweight frame is easily portable for added convenience.